﻿ The Old Rectory - Ohio. Find It Here. The original building was completed in 1845 as a rectory for St. Johns Episcopal Church. The Reverend R.S. Eliot and his family were the first of 15 rectors who lived in this residence for the next 80 years.Originally located beside the church on the southeast corner of the Village Green, the house was moved to 799 Hartford St. in 1924 where it served as a rental property and later as administrative offices for Worthington Schools. 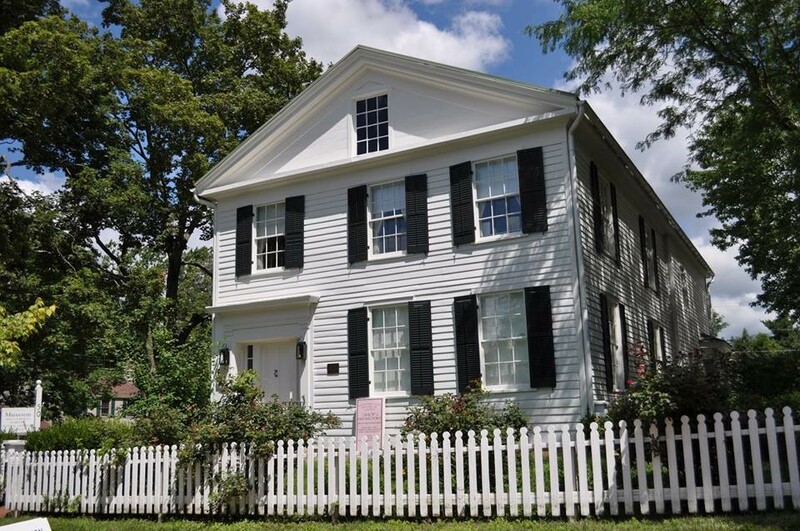 In 1978, the Worthington Historical Society acquired this property, moved it to its present location, and renovated it for use as their headquarters, Doll Museum and Gift Shop.The Old Rectory is in the classic Greek revival style; it has a separate modern addition to the north side. The interior woodwork and the cherry siding show the quality of the native lumber and the desire of the local 19th century native carpenters to make a beautiful home for their rector. Features include a cherry stairway and black walnut woodwork with crossettes and splayed bases suggesting Egyptian columns.Doll Museum: Open Tues.  Fri. 1-4 pm, Sat. 10 am  2 pmGift Shop: Open Tues.  Fri. 1-4 pm, Sat. 10 am  2 pmLibrary: Open by appointment for research can be scheduled by e-mailing info@worthingtonhistory.org (preferred) or phoning at (614) 885-1247.